Dale Hayes from SuperSport featured the FlightScope and FocusBand integration at the 2016 PGA Merchandise Show. Watch as Dale is coached by Sam of FocusBand to train his brain into a calmer, more focused state in order to hit a good shot with the FlightScope launch monitor. 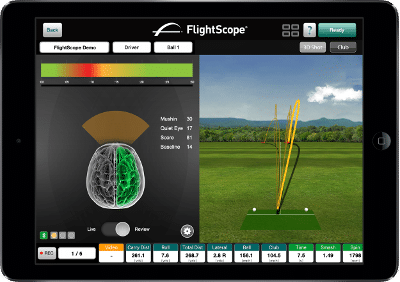 As they demonstrate, the FlightScope and FocusBand integration allows for instant feedback to bring a new level of enhanced training to all sports.